Use this article to help you as you schedule content to be posted in the Content Module, during your challenge. Custom content is key to a successful challenge group. 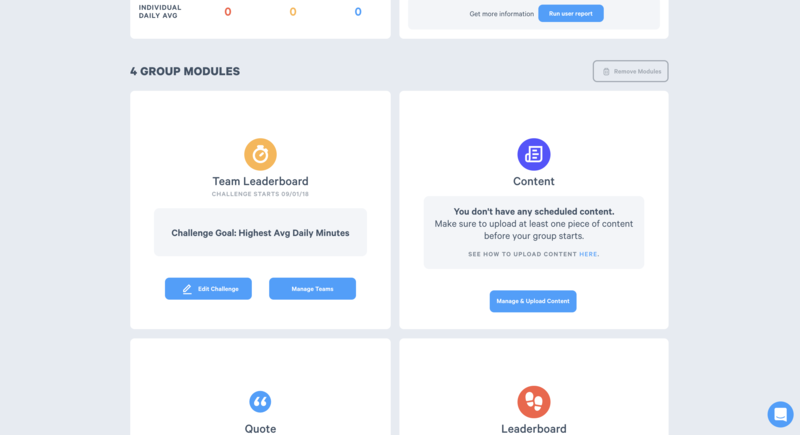 We suggest including a content module when creating a challenge group. This module is great for posting articles, videos, or even announcing progress or events! Click on your group from the 'Groups' tab and scroll to view your modules. 3. 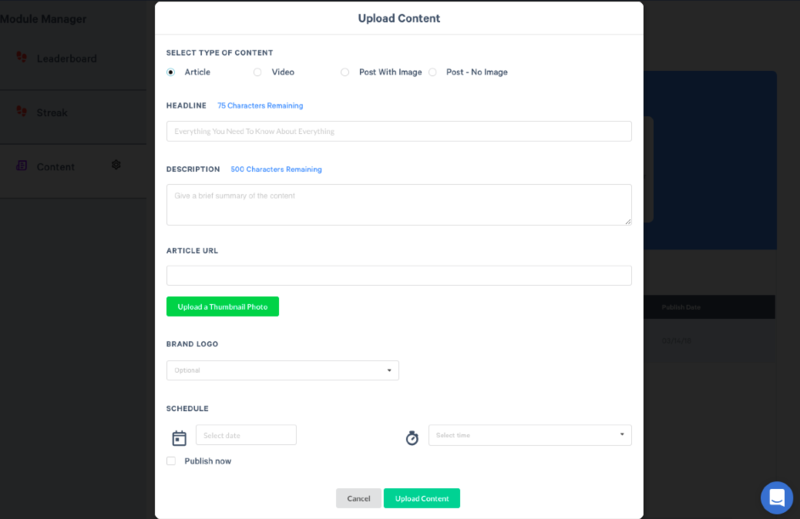 View previous content, or hit "Upload my content" to start scheduling! 4. Enter all required post information. Based on the type of content you plan to upload, you will be prompted with different inputs to build your custom content within the module. For articles, you can link out to any public URL on the web. Aggregate your favorite blog posts or wellness resources and post as an article through the content module. It's important to remember that videos must be in YouTube or Vimeo format. Articles must begin with https. Need an image? Best practice tip: screen shot a portion in the video and use that as your image. 4. Schedule or Publish now. 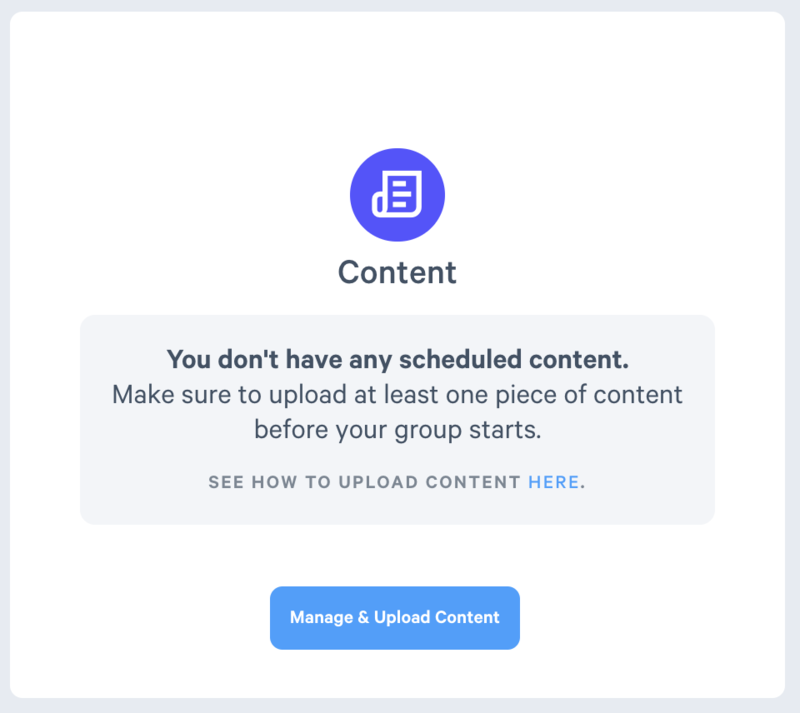 Typically, if you're planning out the entire challenge group's content, you will schedule in advance for a certain day and time. The more ad-hoc posts will use 'Publish now'. Content can only be viewed in the started state of a group. Remember to schedule content only from the first day of the challenge group onward. Spend an hour+ before the challenge group begins to aggregate content and schedule it out. This will decrease administrative time spent during the challenge group. Challenge groups remain on the dashboard 7 days after the grace period ends. Use the content module to post about progress or announce winners after the challenge has closed! Structure your groups around a specific initiative: fitness, nutrition, or mindfulness. Utilize the content module to really drive your point home with your participants. A mixture of articles and videos will keep your group engaged! Monitor content analytics. Through the module manager you will be able to see likes/comments on each piece of content. Take note of what resonates with your users and schedule more of that type of content out throughout the entirety of your program.